1This New Moon is going to be challenging us to view our thoughts differently. 2Help Gostica raise the vibrations and SHARE this article with your family and friends. 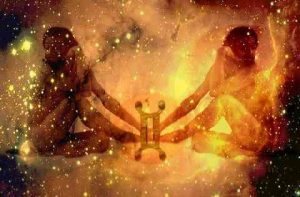 The potent Super New Moon falls in the air sign of Gemini on May 25th, 2017. This Super New Moon is going to bring the start of a new cycle, however before this new energy can emerge, the old has to be cleared. The old energy we are clearing this time around, comes from the events that stirred around the Scorpio Full Moon earlier in the month. This was an intense Full Moon that likely brought things to the surface that needed to be cleared for some time. Even though this Full Moon was only a few weeks ago, it is likely that it also brought things to the surface from way back in August 2016. Perhaps if you look back on your life from that time period till now, you will see just how your journey has unfolded and how themes may have returned in order to be cleared or worked through once and for all. New Moons and Full Moons always represent the start and end of a cycle, but often their impact lingers for months or even years. This is especially true when we have a Super Moon or an Eclipse. This year, the Super New Moon in May will also be followed by another Super New Moon in June. 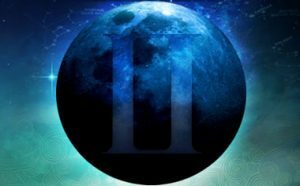 This double hit of strong lunar energy means that things over the next few weeks may feel intense. The Moon is responsible for our deeper emotions and feelings. The Moon rules over the unseen worlds and can bring whatever is hiding in our subconscious mind to the surface. This can be confronting at times and can also challenge us to really make changes on the deepest of levels. The Moon also challenges us to pay attention to our intuition and the more energetic or spiritual sides of life. As the Super New Moon falls in Gemini, it will be guiding us to focus on our thoughts and how we have been communicating to ourselves, to others and to the world. Gemini energy is very “thought” driven and often there are times where we all experience our thoughts running away from us. This is such an amazing article!! Very useful, practical informatiion.